2 words, lousy management... revenue keep growing but net profit less like hell. Last 2 quarters they said to spend 10 mils to upgrade the existing machine (automated) to lower down costs, money spent but no improvement? Who going to CIHLDG AGM, please ask this question for me. Thanks! Say too much is useless, prove that on financial report, else better keep quiet. actually sub removal not impact, cuz local sales only 10%, 90% export to mid east n africa, I juz attented the agm. Ini kaunter/ company belongs to ayah 2nd Ministry of Finance Malaysia maaa...apa mau helan! Icon8888 this counter still can buy? Icon8888 will not comment if CI Holdings can be purchased or not at certain prices, simply because his reputation will be at stake. Perhaps, he will answer if he is still holding CI Holdings at current price or not. Sifu Icon8888, please write more articles on CI Holdings after the 3QR is released. Thank you..
Its amazing how this company can accumulate so much debt aka borrowing. Which bank in its rights mind would loan so much money for a general manufacturing company. This year EPS may exceed 30 sen per share... Dividend hopefully more than 10 sen per share.. hehe.. Edible palm oil is Malaysian produced products in abundance. Marketed to more than 100 countries worldwide... Revenues and earnings has gone up by leaps and bounds. Only receivable is growing very fast but FCF is negative. Got chance give dividend ka?? Maybe need to borrow more money to pay dividends. Palm oii price is going down, does this mean the profit margin of CIH will be up as the material costs is down ? So, next quarter, hosehliao !! CI Holdings must not only increased its revenues, it must also improve its cash flow and margin in order to attract more investors. EPS may show improvements; gearing is still very high and because of such concern, this counter market price cannot move up positively. Be very worry about the decision of EU to banned palm oil. 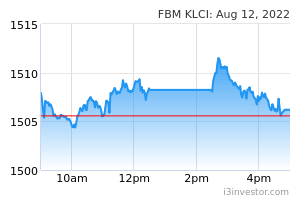 This is typical ikan bilis trap stock. Fast growing company with tonnes of debts. Anyone knows the status of their new plant in Banting? Fully operational? Palm oil business is not high risk. The risks may include poor quality control, foreign exchanges, stiff competition and large capital outlay for long export markets. Johari Abdul Ghani not from BN? Now PH rule why buy BN ctr? Those buying follow James Yeo die. See Hektar blog you know the result. NTA 1.3 perhaps can drop more? Dividend sure won't repeat if QR turn worse.